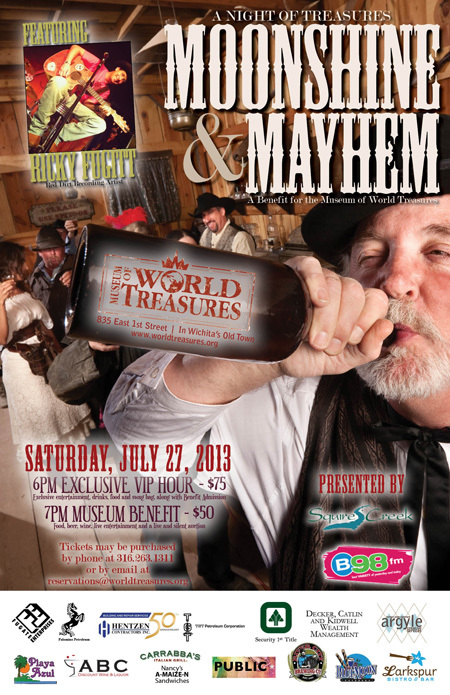 Museum of World Treasures: Join us for Moonshine and Mayhem! Tickets going fast. Join us for Moonshine and Mayhem! Tickets going fast. You're invited to belly up to the bar from 7 - 11 p.m. on Saturday, July 27th at the Museum of World Treasures annual fundraiser, "Night of Treasures... Moonshine and Mayhem!" Live music from recording artist Ricky Fugitt will be rocking the rafters. Complimentary wine and beer is provided by ABC Liquors and Spirits. Gourmet grub with all the fixins from some of Wichita's finest restaurants such as River City Brewing Co., Larkspur Restaurant and Grill, Nancy's A-Maize-N Sandwiches and Blue Moon Caterers will be served. Our bootlegged signature drink, the "Moonshine Margarita" will also be on tap. Silent and live auctions with fantastic items from area businesses will also be a part of the evening. Museum benefit tickets are on sale for $50 per person ($35 tax deductible). VIP tickets are sold out! Call the Museum at 316.263.1311 to purchase your ticket or visit for more information. 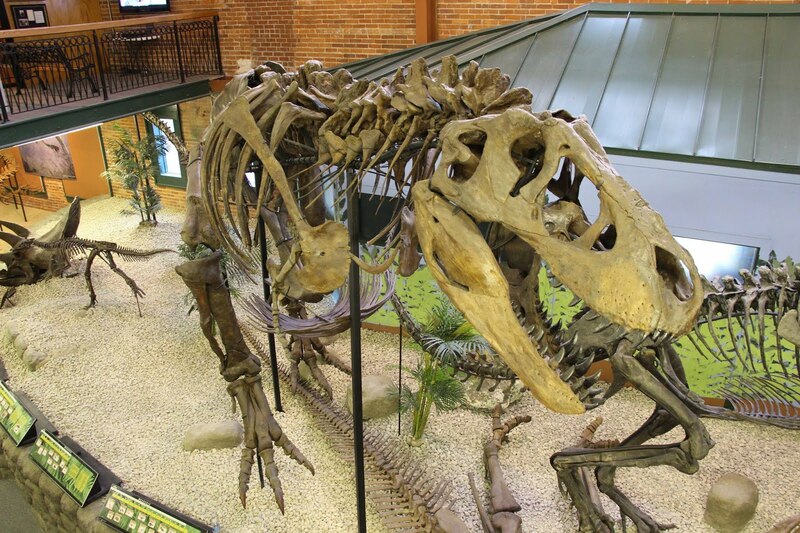 Proceeds of the event help continue the Museum of World Treasures’ commitment to providing world-class educational opportunities and exhibits to the Wichita community. 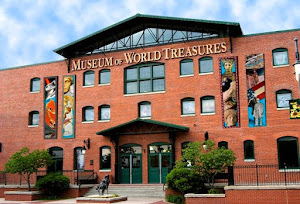 The Museum of World Treasures is a not-for-profit 501(c)(3) Kansas corporation that strives to provide a gateway to the past which educates, entertains and inspires lifelong learning.